This 2-page factsheet summarizes the energy, operational, and property characteristics of retail stores benchmarking in Portfolio Manager. Other statistics are also presented in an easy-to-read format. 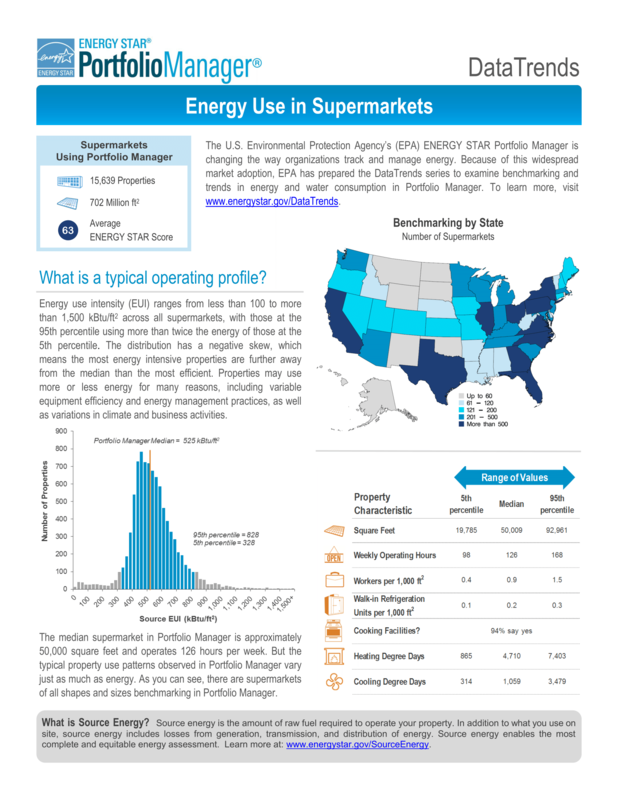 This 2-page factsheet summarizes the energy, operational, and property characteristics of supermarkets benchmarking in Portfolio Manager. Other statistics are also presented in an easy-to-read format.